Sometimes there’s a frenzy about the ‘top’ Christmas presents – Hatchimals I’m talking to you – and then there’s a great present idea you have all on your own. 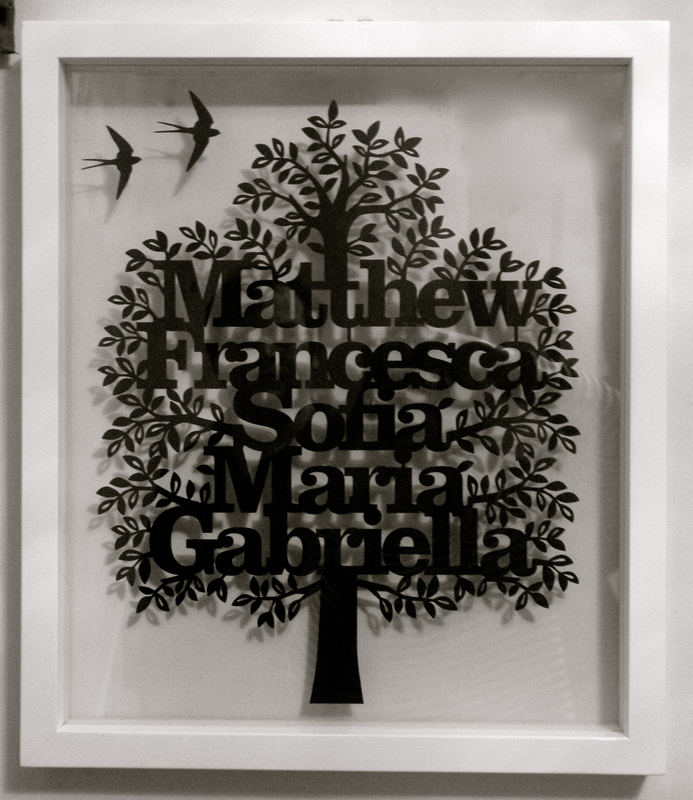 I’ve just taken delivery of that great idea and am really excited to give it as a gift. My eldest daughter has a December birthday so I really have to get into gear on the present front at this time of year. She mentioned she’d like a copy of The Magic Faraway Tree, which they’d been reading at school. 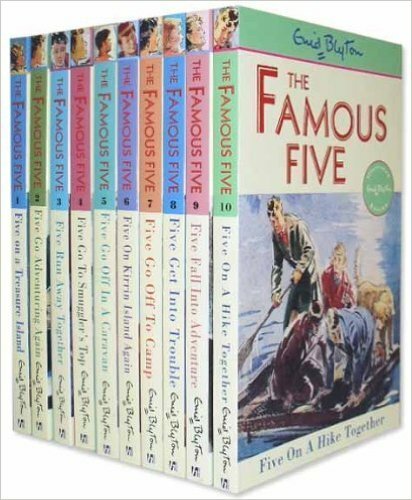 I thought this, as part of the series of four, would work as a small Christmas present so looked for the Famous Five series, which she isn’t familiar with. I found the first 10 books, sold as a set, for just over £14 and ordered immediately. The books arrived promptly and had the lovely retro covers. However, they were just in a bundle wrapped in cellophane. I suppose hardly surprising given the price. I didn’t want to wrap them up to give just as they were so had to think of an alternative. I set about looking for a presentation case, just something simple like proper book box sets come in. I searched for ages and drew a blank. I then had the idea of getting a decorative box to actually put them in, but nothing really seemed to fit the bill. 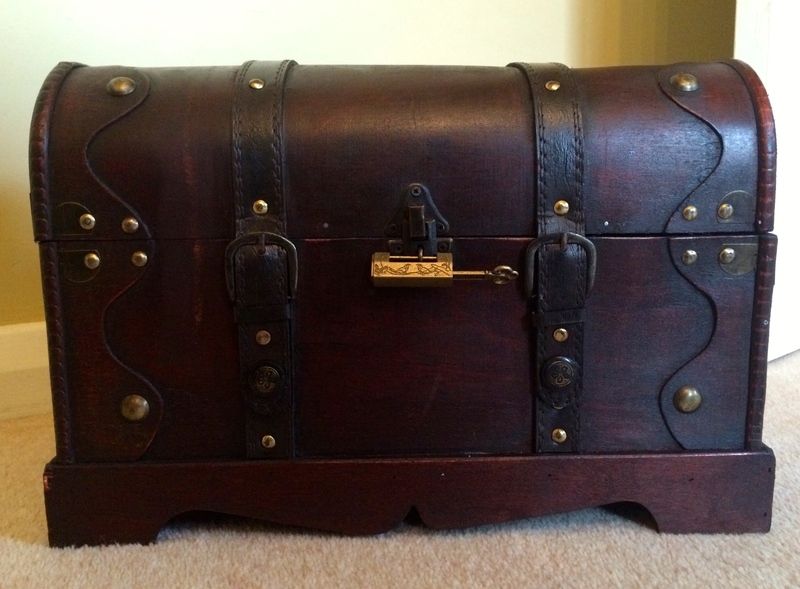 I then thought treasure chest! 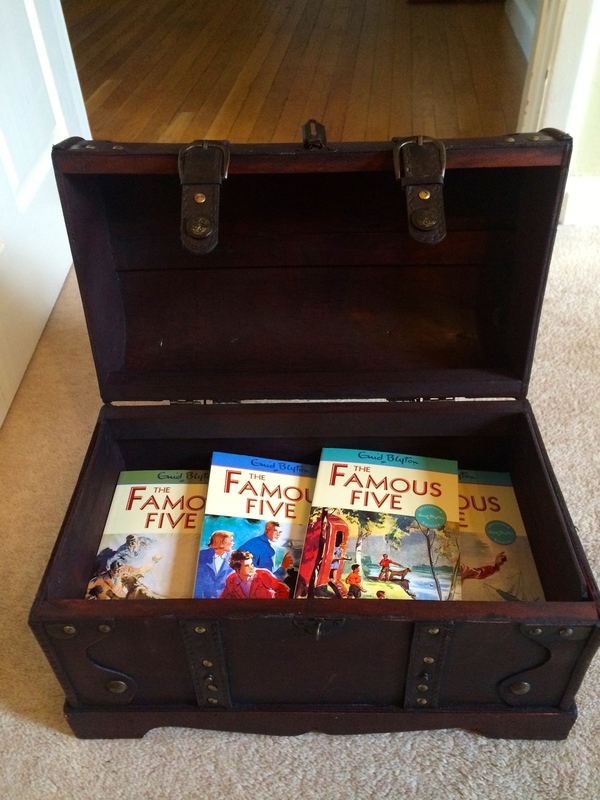 It seemed the perfect idea as it all fit in nicely with the whole adventure theme, and of course it would even contain the book Five on a Treasure Island. It is also something that I would have loved at eight year’s old, so I know Sofia will. The chest has arrived today and I actually can’t wait to give this present to her. It even comes with its own lock and key to keep it all secret!